Ruggie is a soft rug carpet made with comfortable, slow-rebounding memory foam. 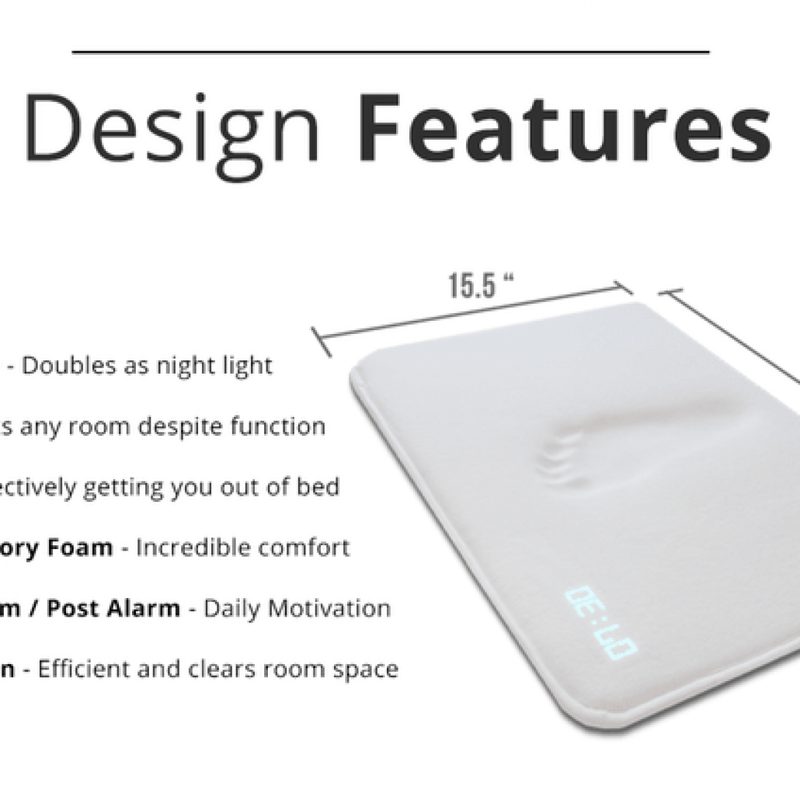 It’s made with anti-slip rubber on the bottom and you can get it in blue or white. 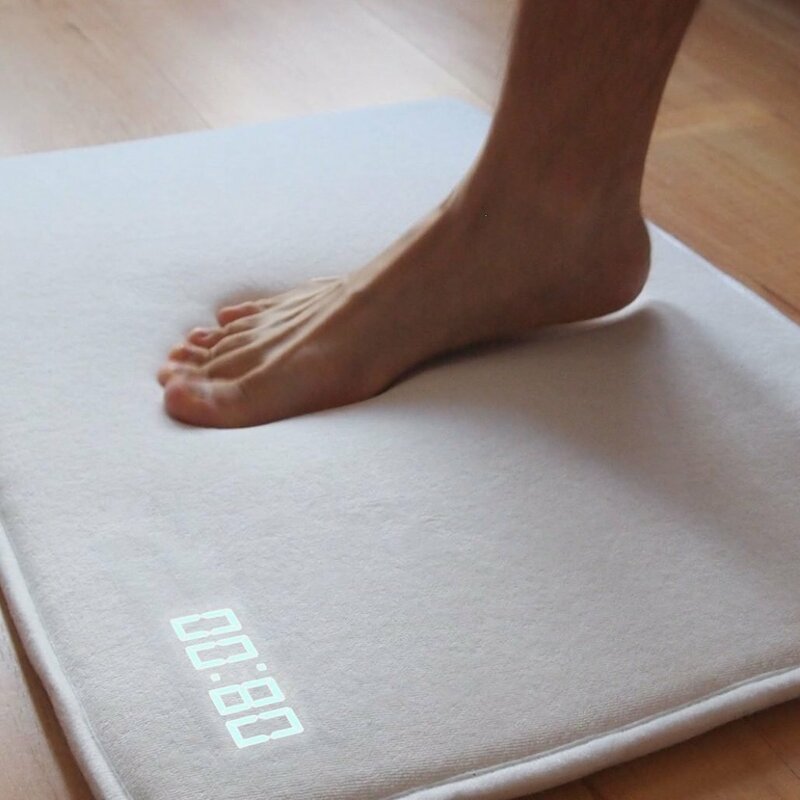 To use it, set the alarm clock to your ideal time. Then go to sleep and you’ll be awakened by an extremely loud (90-120 decibel) alarm that’s sure to get you out of bed. To turn off the alarm, you must stand on your Ruggie for 3 seconds. If 3 seconds isn’t enough, the time can be prolonged to up to 30 seconds. Just by using the Ruggie for a month or 2, you’ll create a new, healthier habit, adding minutes, hours and days to your waking life. Plus, you can set the alarm to play personalized motivational MP3s to reward you for standing on your Ruggie. To upload motivational MP3s, prolong the standing time or set multiple alarms, plug Ruggie into your computer through the built-in USB port and use the free, included software. Ruggie has a small, bright LCD digital clock display on its upper left. It runs on 3 AAA batteries.